This text is from The Vauxhall Society’s A Guide to the Church of St Mary-at-Lambeth, London and explains the build-up to the establishment of the Garden Museum. 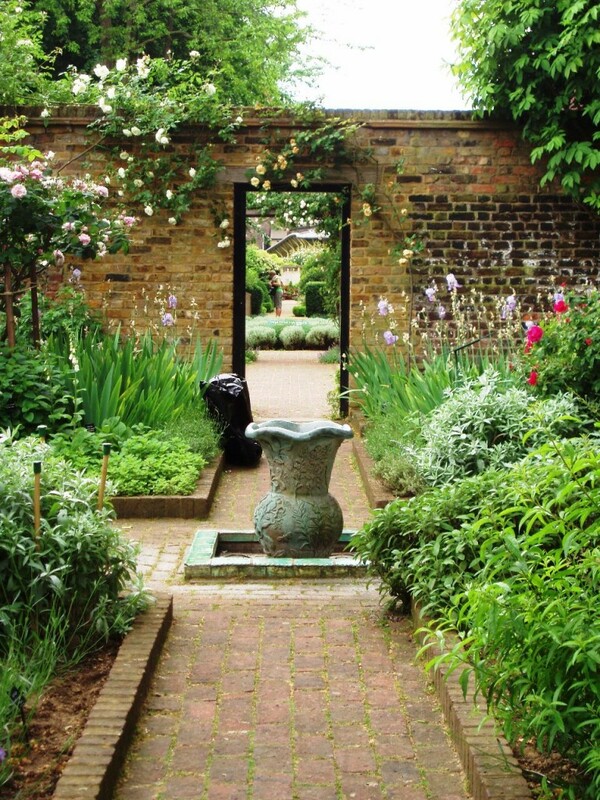 The Tradescant Trust was founded as a registered charity in 1977 to establish in the heart of London the Tradescant Centre, a Museum of Garden History – the first of its kind – and to create a garden of unique historic interest. Once assured of the right support, the Trust believes that this venture will greatly benefit gardening of all kinds, and provide a place of pleasure and continuing interest. The Centre will complement the work of many organisations devoted to these activities and provide a convenient London home for many. It will be open to all visitors from this country and overseas. Owing to a combination of factors, the church of St Mary-at-Lambeth has ceased to be needed for worship, and the church authorities have been willing to grant the Trust a long lease at a nominal rent to establish the Tradescant Centre. A prominent church architect has reported well on the structure of the building, and the project has already attracted the support of leading nurserymen who have given plants for the Tradescant Memorial Garden, at present in the care of the London Borough of Lambeth. A team of volunteers also visits the churchyard regularly to help maintain it. From the start the venture has attracted lively enquiry and goodwill. The Friends of the Tradescant Trust was formed. The garden immediately came under the aegis of the Environmental Committee of the London Celebrations Committee for the Queen’s Silver Jubilee 1976-77. In July of Jubilee year, Queen Elizabeth the Queen Mother, who had early expressed her warm interest, visited the garden with members of the Civic Trust. The Tradescant Trust has been offered a collection of material to form the nucleus of the first Museum of Garden History and many organisations have expressed their strong support for both the building and garden projects. To save from destruction a notable building (Grade 2*) with a thousand year history which is designated as of national importance and situated within a conservation area officially described as ‘outstanding’. The Trust needs the sum of £250,000 to fulfil its aims. An appeal was launched on 15th February 1978 and negotiations with the Church Commissioners resulted in the signing of a lease on the church in January 1979. Building repair work began almost immediately afterwards. There is still a long way to go, and your help is urgently needed. Update: The campaign by the late Rosemary and John Nicholson, the driving forces behind the museum, was successful and in 1981 the Museum of Garden History held its first exhibition. In 2008 the interior of the museum had a total makeover and the name of the museum was changed to the Garden Museum, reopening to the public on 18 November of that year. The museum now runs a busy programme of exhibitions, lectures and events that attract gardeners and garden enthusiasts from around the world. It is hard to believe that when the Nicholsons started their campaign, the proposal was to knock down the church and build a car park for Waterloo station in its place.